This Workshop was organized to bring once more tagether the scientists of the rather heterogeneaus field of exotic atoms. 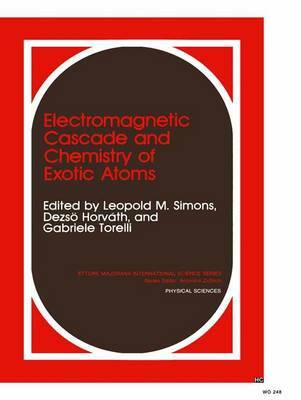 At present the main topic of the field seems to be the study of the atomic cascade. There are some who study it intentionally -Iet us call them cascadeurs -and others who think they investigate other features of the exotic atoms (like Coulomb capture, particle transfer, muon catalyzed fusion, chemical effects, fundamental properties, etc.) -users-while in fact they study some special consequences of the same atomic cascade. We decided to get cascadeurs and users discuss the problems of exotic atoms at wonderful Erice, at the 5th Course of the International School of Physics of Exotic Atoms. Our Workshop was quite successful, we have heard excellent talks from participants from a dozen countfies and most of them have prepared written contributions for this volume. The Organizers express their gratitude to all participants for their contributions, especially to David Measday for bis concluding remarks (not printed here) and to James Cohen for jumping in for Leonid Ponomarev who had to leave unexpectedly in the middle of the meeting. We greatly appreciate the enthusiastic help of Marianne Signer in every stage of the organization work. Am!, of course, the Workshop could not happen at all without the incredibly efficient organization by the Ettore Majorana Centre of Scientific Culture. Leopold M. Simons Dezsoe Horvath Gabriele Torelli V CONTENTS OPENING ADDRESS . . . . . . . . . . . . . . . . . . . . . . . . . . xi . . . . . . .